Vintage Kawasaki: Seat - Black Ribbed - 1976-1980 Kawasaki KZ900 KZ1000 Ltd. Complete Seat Assembly Ready To Go With All the Rubbers And Seat Latch. 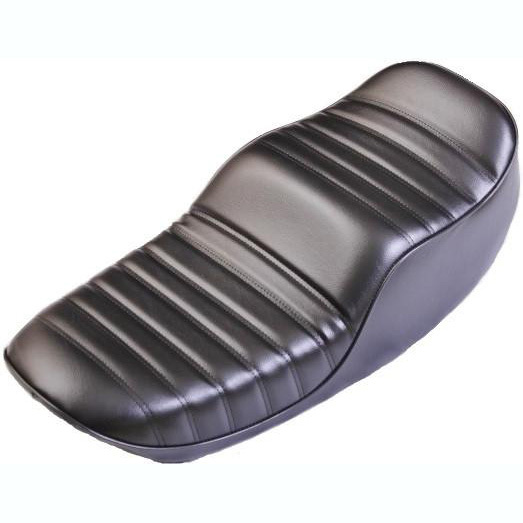 The seat pan is the same on the 1976 KZ900 and the 1977-1978 KZ1000 A1 & A2 so it will fit perfectly on those bikes as well.